The trend of outsourcing by accounting firms is building more momentum and it offers significant benefits if done the right way. I am going to launch into this with a few facts. According to “The World is Flat” by Thomas L. Friedman, in 2003 some 25,000 U.S tax returns were done in India. In 2004, the number was 100,000. In 2005, it was roughly 400,000. Thomas goes on to suggest that by 2014 an accounting practice will outsource the basic preparation of tax returns – if not more. In fact at present Ernst and Young alone prepare about 1 million U.S tax returns in India. Many Australian accounting practices are embracing outsourcing to gain the many benefits it offers. PwC Australia, for example, outsources many accounting functions such as auditing functions to a team in Mumbai and there is a large tax team in Calcutta. An enlightening PwC Report “Outsourcing Comes of Age” (published 23/3/09) was compiled from interviewing 226 company executives across the globe. In it Australia is cited as a “medium mature” outsourcing market. So clearly there are many who are taking advantage of this resource. Of those surveyed in the report 71% of them outsource core functions. What is fascinating about this is that it’s just plain normal to do so for these firms and yet the SME accounting industry still seems to be slow on the up take. Why is this? If over a million tax returns are being completed offshore for U.S firms it is clearly readily attainable. From interviewing Partners of SME firms I have found the main reasons for not outsourcing compliance or audit functions are because of concerns about the quality of work, tax knowledge, security and confidentiality. These are valid issues and without a doubt serious considerations. But consider this: an outsourcing company can give you much higher margins, enable you to focus on more high-fee value-add activities and enable growth or flexibility just not possible logistically if you have to hire in-house. You can achieve so much having effectively a high ROI human resource on tap. The PwC report states of those firms they surveyed that use outsourcing, 87% of them say outsourcing delivers the benefits of the original business case. Top reasons for outsourcing include lowering costs, gaining access to talent and increase business model flexibility. A transactional service whereby the client jobs are sent externally to a service provider and the work is completed by an anonymous person or persons. A collaborative service where the client engages an employee of the service provider on a full or part-time basis. The client can choose the individual that works for them. That person is then dedicated to the client effectively becoming one of their staff (although the individual doesn’t work actually in the clients’ office). This arrangement gives the client the same benefits of hiring their own in-house staff without the draw backs. A transactional service can get the work done but clearly expert outsourcers have found that there are many limitations to that business model. Outsourcing is being done successfully everywhere, so much so international investment consultancy firm McKinsey & Company predicts that the demand for outsourcing services will reach $180 billion in 2010. There is no doubt that outsourcing is growing and that can only mean one thing – it works. 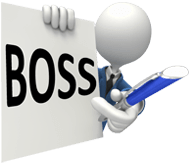 Since 2004 BOSS has been providing a unique form of specialist accounting outsourcing services to Australian firms based on a collaborative approach. We call it IN-Resourcing and it is just like having your own dedicated staff member, they are just working in a separate office.